It’s our pleasure to present our favorite photography books from the last year (though one is much older). We want to recognize the photographers and the publishers: thank you for producing these books, that we’ve enjoyed, that have made us think, and that have moved us. This collaboration between photographer Bosworth and writer Kelley is a delightful, engrossing experience of a book. Together, they create a ‘deep map’ of a single place – a meadow in Carlisle, Massachusetts. A result of more than ten years of study and reflection, this beautiful tome (the word book seems too simplistic here) weaves together images, essays, poetry, field notes, maps, and arcana to create a meditative, intimate record of a place. Support Fraction by purchasing this book here. 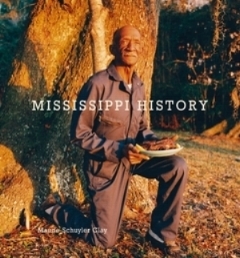 This gorgeous collection of color photographs spans more than 25 years; focusing on the people and landscape of the Mississippi Delta, and more specifically, representing a ‘personal history’ of the artist. In looking at the book, I feel a bit as if I am peeking into someone’s personal photo album without permission. The images are intimate, informal, and a little melancholy – but seductive as well. They offer a glimpse into a golden-hued world of our past, one that seems recognizable and otherworldly at the same time. 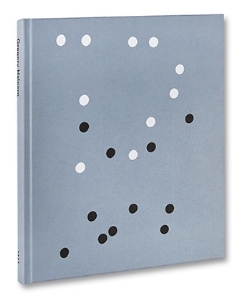 It’s thrilling to see the Kitchen Table Series, Weems’ seminal body of work, in a dedicated monograph. For those of us who have studied and taught these works over the years, this collection allows the viewer to experience the work in a manner as raw and intimate as the images themselves. Interspersing the lush black and white prints and with essays by contemporary scholars, this portrait of a woman is timeless, and required reading for anyone interested in self-imaging, or just in life itself. This book is pure pleasure – a slice of time from the early 1970s, documenting a country roller skating rink in southern Florida. Nostalgia is at its best here, as you dive in to the images and come out the other side feeling invigorated, as impossibly young and vibrant as the skaters in the images. It’s easy, looking through this book, to remember being that age and in that state of mind - when the world is yours, and everything is new and exciting. Read my review of it here. This brand new release is particularly timely – Justin Kimball has been photographing declining small towns in New York, Massachusetts, and Pennsylvania since 2012. The images of these struggling places and the people who inhabit them are lyrical, sympathetic, but unflinching in their honesty. This book will be reviewed in the December issue of Fraction. I loved Justine Kurland’s Highway Kind, which speaks both to American dreams and the transitions into self-awareness that characterize childhood. Kurland wraps these two themes into one another beautifully. Read my review here. ZZYZX’s brooding California photographs describe a fallen world and the people in it. The world as Halpern sees it is neither safe nor certain, but his vision is compelling and the pictures are striking. The effect is disconcerting yet the momentum feels irresistible. Readers’ public declarations in the local Whitesburg, Kentucky newspaper portray the fabric of a community, reproduced in this little zine-ish book. People confess their love, voice their anger and regrets, ask for forgiveness. The phrases are straightforward but rich with gesture and detail just like Kranitz’s photographs. Not a survey of photography and video dealing with the effects of climate change, the catalog for the 2016 exhibition at the Ryerson Image Center is much more ambitious. Ramade brings together work from the last half century to propose an aesthetics and iconography of the Anthropocene - this era in which humans have had the most substantial impact on planetary geology. The result is dramatic and alienating. We see there really is no place for us in the world that we have made. But there is hope: the recognition of the magnitude of human consequence may lead to a change of mindset where thinking of environmental threat in terms of pollution alone has not. Ansel Adams' work on Manzanar, one of ten Japanese-American internment camps set up during the Second World War, has been on my mind recently. Not published this year but easily available for a penny plus shipping on Amazon, this is required reading as the idea of what it means to be American is being challenged and in some cases twisted. Photographs from Adams’ only documentary project are accompanied by a text describing the events leading up to internment, life in the camps, with focus on the publication of a newspaper within Manzanar. In 1988, President Reagan signed the Civil Liberties Act to grant reparations and offer apology to the incarcerated Americans.